TNPSC Recruitment 2019 - TNPSC invites Online applications for recruitment of 60 Assistant System Engineer, Assistant System Analyst Posts. 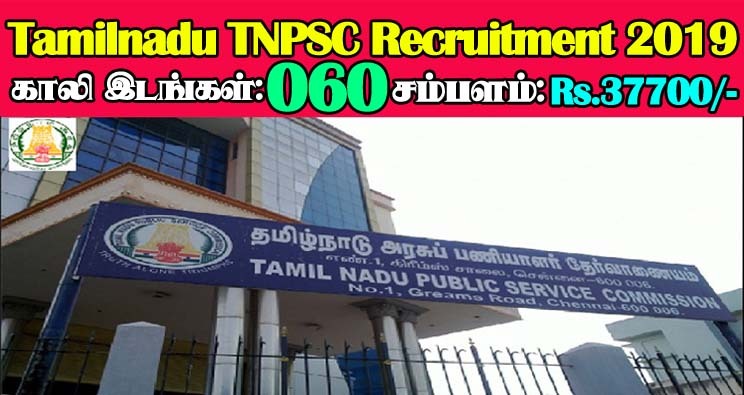 The applicants are requested to apply online only through Official Website www.tnpsc.gov.in on or before 20.02.2019. Interested candidates are requested to peruse the advertisement regarding the process of Examinations and Interview, Eligibility Criteria, Application Fee, How to Apply, Pattern of Examination, Syllabus, Question Paper, Admit Date, Exam Date, Result Date etc,. Refer thoroughly before applying. a) Must have a minimum aggregate of first class in Mathematics and Science in Secondary School Leaving Certificate (SSLC). IMPORTANT NOTE : Candidates with master degree in Computer Applications should have a bachelor degree in Science or Mathematics or Computer Applications from any university recognised by the University Grants Commission (UGC). Note (i) The qualification prescribed for the posts should have been obtained by passing the required qualification in the following order of studies: 10th + HSC or its equivalent + Bachelor‟s degree + PG degree as required under Section 25 of the Tamil Nadu Government Servants (Conditions of Service) Act, 2016. (Results of the examination should have been declared on or before the date of notification). MBCs/DCs/BCs/BC(M)s and Destitute Widows of all castes. (G.O. (Ms).No.32, Personnel and Administrative Reforms (M) Department, dated 01.03.2017). The examination fee should be paid at the time of submitting the online application for this recruitment if they are not eligible for the concessions noted below. How to apply TNPSC Assistant System Engineer Recruitment 2018? Is this applicable for civil? sir am complete DEEE ..
Sir I am studying B.E final year last semester can I eligible for this exam.